Hit TV series Blue Planet is getting a new spin-off, focusing on the seas around Britain. The show will air on BBC daytime, which has traditionally been associated with popular stalwarts like Homes Under The Hammer and Bargain Hunt. 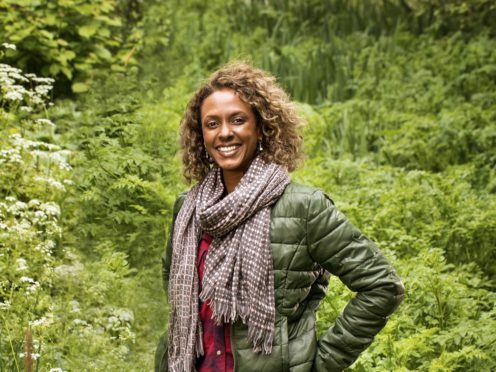 Springwatch star Gillian Burke and Countryfile presenter Steve Brown, alongside Chris Packham, will front Blue Planet UK. Due to air on BBC One over a week in March, it will capture the UK’s marine wildlife. The series is being produced by BBC Studios’ Natural History Unit, which made Blue Planet and Blue Planet II. And while Blue Planet II put plastic pollution at the top of the agenda, the daytime spin-off will “offer practical solutions for how to get involved around the country” and tackle the problem. Other new shows announced for the BBC’s daytime schedules include Good Morning Dagenham, narrated by Larry Lamb. The five-part documentary series will be filmed in a huge open air market in east London, and will feature a cast of “lovable characters”. It will capture attempts by market traders to fight off the threat of online shopping with new weekly attractions and stalls. Meanwhile, former Flog It! presenter Paul Martin has landed a new BBC One show, Curiosity. Contestants will have to value and date the antiques and collectables in his fictional shop, against the clock. And Dom Littlewood will go to the US and immerse himself in institutions, from policing and prisons to hospitals, in a new show. McGolpin said that daytime audiences were proving “really robust” despite competition from streaming sites. Flog It! was previously axed in the schedule as part of a shake-up. But McGolpin said Martin’s new show was “different” to the series, and that “collectables” continue to fascinate viewers because “they are the objects that form part of our lives… objects mean things to people and they are a way of untapping stories”. Shows previously announced include Welsh drama Pitching In, starring Larry Lamb and Hayley Mills. Other programmes include home design show Best House In Town and arts show Home Is Where The Art Is, fronted by Nick Knowles. Hit drama Shakespeare & Hathaway: Private Investigators and true crime series Murder Mystery & My Family are returning. The BBC has previously announced new peak-time series Blue Planet Live, tackling ecological issues around the globe.